Welcome to the Blackpool office of MHA Moore and Smalley, where we deliver full service accountancy and advisory support to businesses and individuals across the Fylde coast area of Lancashire. Working closely with companies from start-ups and owner-managed firms to substantial corporates, we provide accountancy, tax and business advisory solutions, as well as bespoke wealth management consultancy. Our team of Blackpool accountants and business advisers help clients to effectively manage all their accountancy and compliance matters. 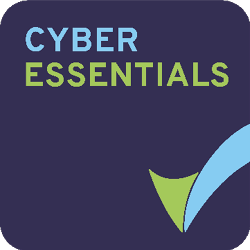 This is underpinned by expert technical assistance, such as audit and accounts, corporate finance, tax and VAT, payroll, export/import and all aspects of financial planning and wealth management. MHA Moore and Smalley’s Blackpool team continues to develop a successful relationship-based approach that means businesses and individuals trust us implicitly to give them the very best support. Our Blackpool office includes highly specialised sector teams that advise on accountancy and business issues for the healthcare sector and leisure industry. Blackpool partner Deborah Wood heads up our award-winning healthcare services team, which acts for more than 800 healthcare clients across the Medical, Dental and Care Home niches, as well as hospital consultants and pharmacists. Our tailored advice enables healthcare clients to reach both their personal and professional goals. As a result we have won the inaugural Health Investor magazine ‘Accountants of the Year’ award and were finalists for ‘Financial Advisers of the Year’ at the General Practice Awards in 2012 and 2013. 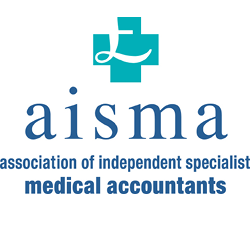 Deborah is also Vice-chair of AISMA and as such we are able to deliver a full range of accountancy, tax, pensions and advisory services for any healthcare sector professional and their business. Our business advisers and accountants in Blackpool also offer a specialist service to the leisure and tourism industry – one of the key strategic growth sectors identified by the Lancashire LEP. Our wide-ranging technical and commercial knowledge enables us to add value and tailor our services to the needs of clients operating across the full spectrum of the tourism and leisure sector. To discover more about the innovative, tailored solutions our Blackpool office can provide for you or your business please contact 01253 404404.